Turn the sky into your playground with your very own advanced micro-lite drone from Odyssey Toys! 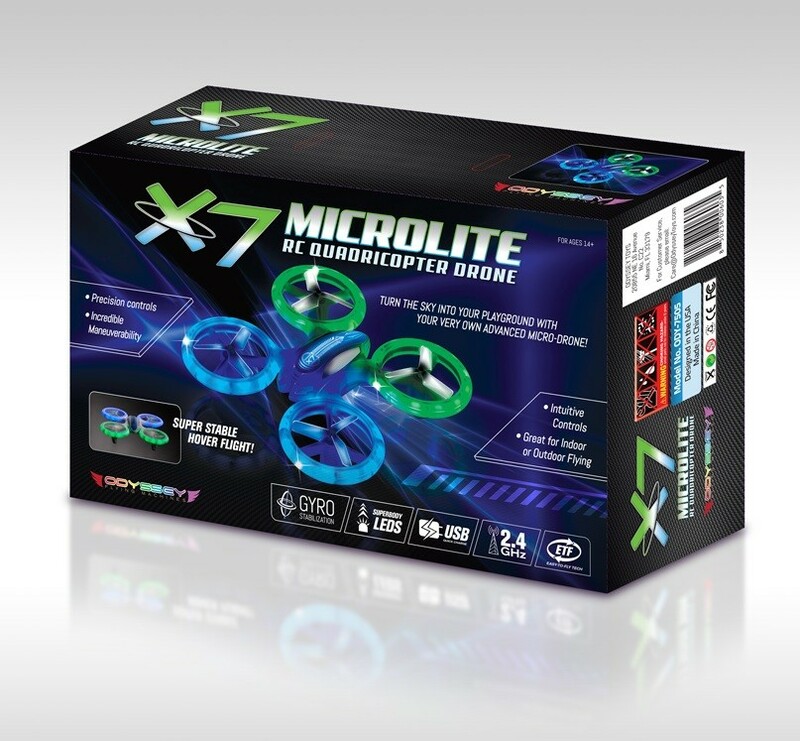 The X7 Micro Lite Drone lets you do cool tricks, dives and dips! Circle an area, hover in place, and so much more. The X7's precision controls and a 2.4 Ghz transmitter gives you the power you'll need for flying through the air like a pro. The X7 is easy to handle and takes off from virtually any surface, even the palm of your hand! Specially designed with nighttime flying in mind, it’s fiber-optic LED lights make nocturnal flying super cool, with vibrant blue and green lights. 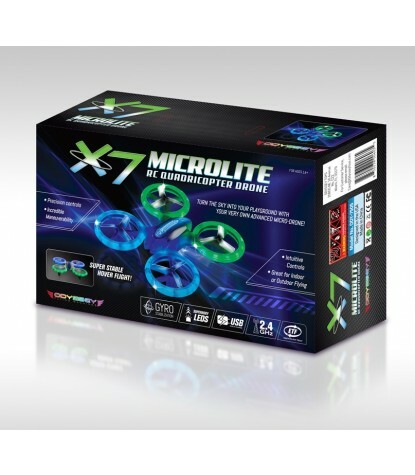 With the X7 Micro-Lite Drone from Odyssey Toys you're sure to become an experienced pilot in no time! Odyssey Toys creates flying machines that are sure to inspire imagination in people from young to old!